​Marian Hossa is ready to say goodbye to hockey, telling Slovakian media outlet Novy Cas, "I will not play hockey anymore," in an interview published Saturday. The 39-year-old winger won three Stanley Cups over his 19 NHL seasons. ​Marian Hossa is ready to say goodbye to hockey, telling Slovakian media outlet Novy Cas, "I will not play hockey anymore," in an interview published Saturday. 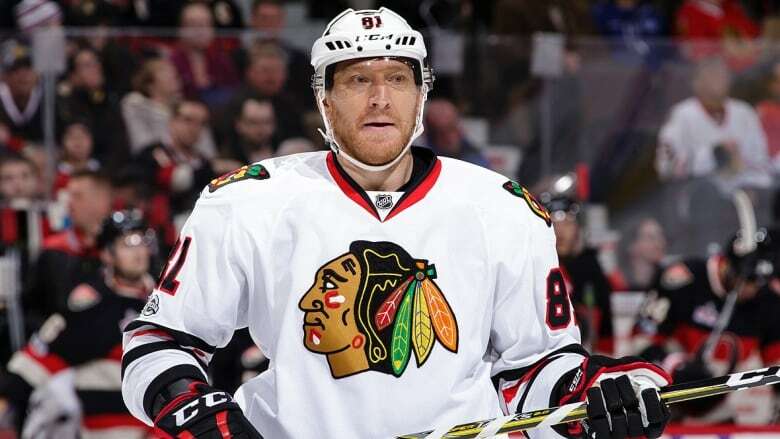 Hossa has been battling a skin disorder and reaction to medications cost him the 2017-18 season for the Chicago Blackhawks. He has three years left on his current contract. A 19-year NHL veteran, he has also played for the Ottawa Senators, Atlanta Thrashers, Pittsburgh Penguins and Detroit Red Wings while winning three Stanley Cups. Hossa, 39, had a stellar career by any measure. He tallied 525 goals (35th all-time), 609 assists (82nd) and 1,134 points (54th) in 1,309 regular-season games (61st). He added 52 goals, 97 assists and 149 points in 205 playoff games. Hossa has put his Chicago condominium up for sale and told the publication he would move back to Slovakia, although he would be interested in a job with the Blackhawks.